Toddlers GIRLS SHOES. Nike Fusion ST 2. SIZE US 3C UK 2.5 EUR 18.5. Converse All Star Baby Size 3C Awesome!!! • Gray/Gray Glitter. Don’t miss out on this great deal! • Never worn converse shoes for girls. The shoes are in used condition as seen in photos. What you see is what you get. 100% authentic and satisfaction guaranteed or we will issue a full refund. Same-day or next-day first class or priority shipping. So once shipped it will arrive in 2 to 3 business days. We ship worldwide only with the eBay global hipping program. Price is cheap and firm. Contact us with any inquiries and we will respond to you immediately. Thanks for shopping at Mav3rick Kicks. Converse All Star Chuck Taylor Infant Crib Shoes. Excellent baby shoes. 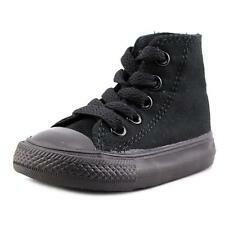 Converse All Star high top shoes in toddler size 3. Aqua shoes with white rubber trim and laces.. EUC. NIB Infant Boys /Girls Converse Point Star Ox Red/White Size 3 -Cute! 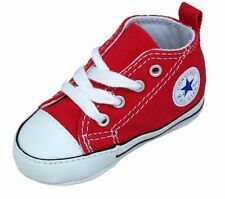 NIB Infant Converse Point Star Ox Size 3-Boys or Girls -Red with white Converse logo. infant converse size 3. Shipped with USPS First Class Package. Brand new never worn size 3 infant converse. Teal, with white laces good for a boy or a girl. Converse All Star Baby Size 3C !!! Converse All Star. Infant Girls gray satin with pink bow detail. Converse One Star 2V Ox. Infant 3/EUR 19/UK 3. You Are Viewing a Converse All Star Black Pink Polka Dot Low Top Tennis Shoes Toddlers Girls Size 3. Great Pre Owned Condition showing small marker on on of the soles. Low miles! Like new, clean, and stylish. NEW without Box Converse All Star Chuck Taylor Toddle Size 3 No Lace Slip On Shoes Blue/Black. Shipped with USPS Priority Mail. New Converse Size 3 Infant Pink Chuck Taylor All Star Low Lace Up Canvas Shoes. Condition is Pre-owned. Shipped with USPS Priority Mail. These are lined with fur, velcro stretches over for closure. Super Cute & warm! Converse All Star Baby Shoes Infant Size 3. Brand new! Actual sneakers (NOT crib shoes). Purple iridescent in color with two straps and back loop for easy on and off! Converse shoes may fit a whole size to a half size larger. 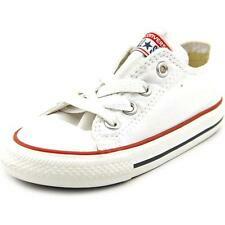 Infant White Chuck Taylor All Star Low Lace Up Canvas Shoes. Durable Suede upper and canvas lining. Elastic tongue. Vulcanized rubber outsole. Good, used condition. Classic red.